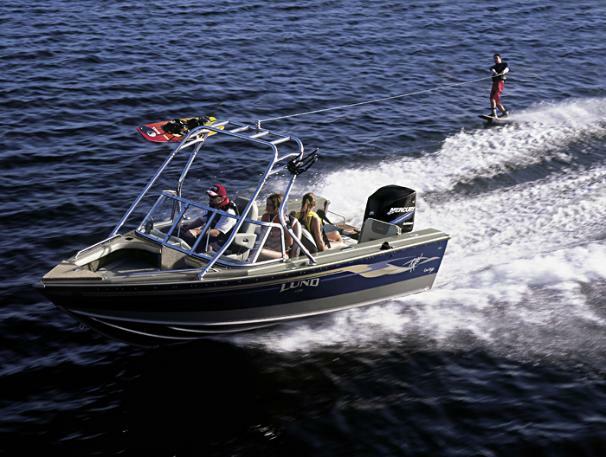 Boat Description This fast and agile Tyee gives you the flexibility to do more with your time on the water. The spacious floorplan is decked out in cushioned luxury, and superior Lund construction makes you feel stable and secure even when the waves get big and the going gets rough. So crawl off on a moonlit cruise or throw it wide open  your Tyee, with the high-powered IPS 2 hull, does it all in comfort and style. Dry Weight 1820 lb approx.